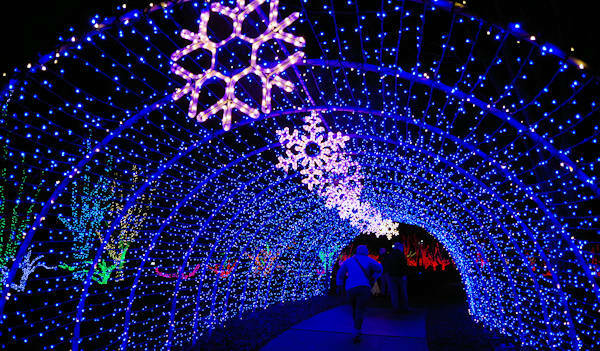 Don't miss The North Carolina Arboretum's elaborate Winter Lights show, transforming the gardens into a nighttime wonderland with 500,000 lights! 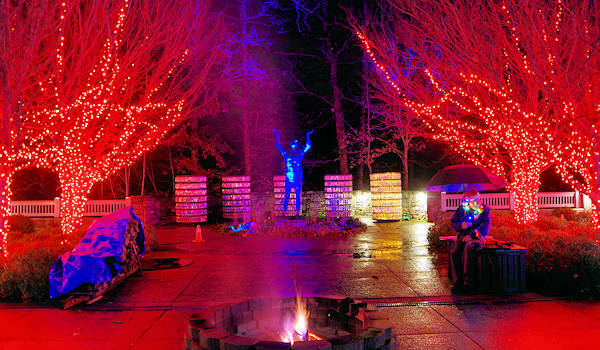 Walk through spectacular displays and see the gardens in a completely new way - with even more lights this year. 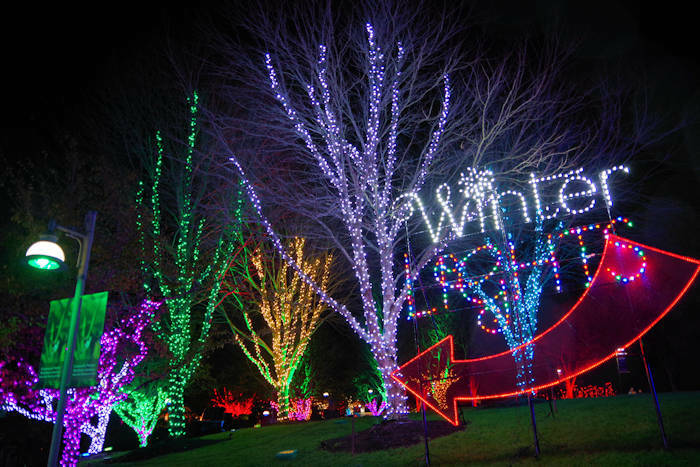 Designed with an artistic aesthetic, the Winter Lights show enhances the natural beauty of the gardens as you celebrate the holidays. RomanticAsheville.com is delighted to be a sponsor of this event. You must buy tickets in advance. Open 6-10 PM. Plan ahead since many nights will sell-out. See ticket info and link to buy below! 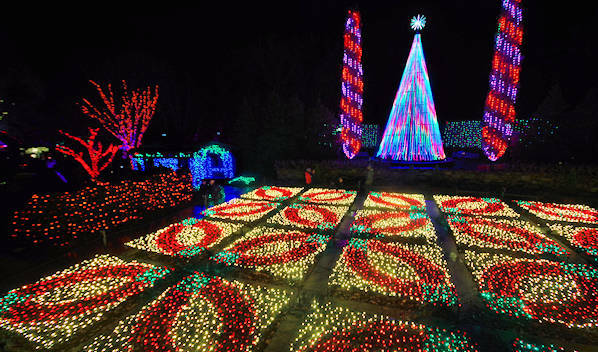 Returning this year are several displays synchronized to the sounds of holiday favorites, along with a 50-foot tall animated tree with 8,000 lights and brilliant Quilt Garden. The Rocky Cove Railroad featuring G-Scale (garden scale) model trains returns with two tracks featuring trains similar to those that ran in western North Carolina. You'll start your visit at the Baker Exhibit Center, with the special exhibit "Tree Houses". Pick up a map so you won't miss anything. First stop: Cocoa Shack! Buy hot chocolate and s'mores supplies for the campfires in the garden. 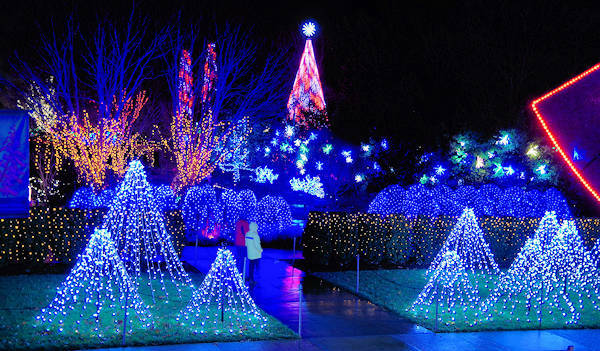 Stroll through the various paths in the gardens for many vistas of the lights. Inside, take the kids to watch the animatronic program "Storytime at Woodland Cove" in the Education Center. Holiday gifts, art and souvenirs are available in the Baker Exhibit Center Connections Gallery and in the Education Center. Guided by green principles, the design team created a show composed of energy-efficient LED lights, which use 80% less energy than conventional lights. Proceeds generated from the Winter Lights fundraiser helps the Arboretum continue to expand its educational programs, exhibits and facilities. It takes 12,500 hours of labor to design, set up and remove the lights and manage the crowds. Advance tickets only - no tickets sold at the gate! 2018 rates $18/adults and $12/children 5-11, plus tax & fees (so adult's total is $21.49). Group tickets are available (minimum 20 people). 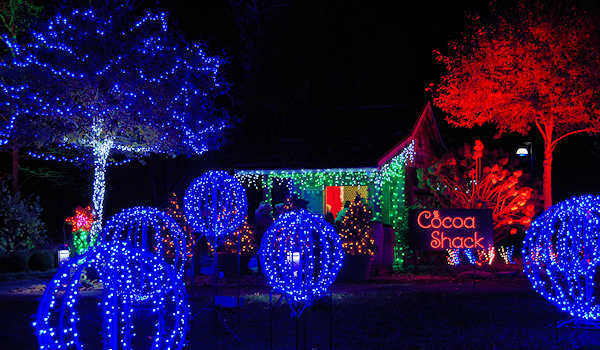 Open nightly from 6 to 10 PM, including Thanksgiving and Christmas Day. Many nights will sell-out in advance. Click here to buy tickets on their Web site. Dress for the outdoors and changing weather. No pets allowed. No outside food or beverages. Wear good walking shoes. Take your time - and enjoy it all! For other questions, call the Arboretum 9 AM-5 PM, 7 days a week, at 828-665-2492. The North Carolina Arboretum is located next to the Blue Ridge Parkway entrance ramp at Milepost 393. From I-26, take Exit 33 and follow NC 191 South for two miles to the entrance on right. 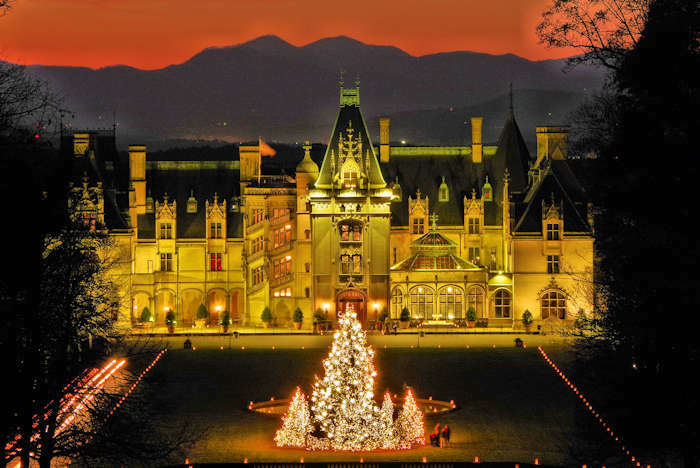 See more holiday outings in Asheville, including Christmas at Biltmore. 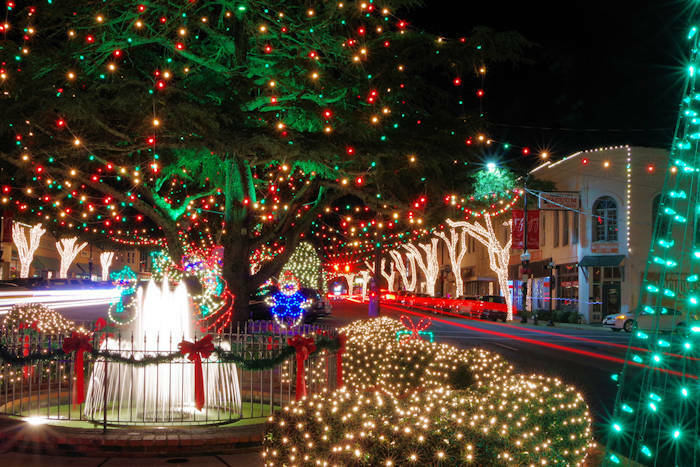 Also find more places for light displays. Go to our North Carolina Arboretum Guide for daytime visits year-round.